You may have already stumbled across Akihiko Taniguchi’s work without realising. The music videos he has created for artists including Holly Herndon, Cumhur Jay, Yurufuwa Gang and hoon, which are very popular on YouTube and Vimeo, stand out for their iconic 3D design and touch of humour. However, although he might be best known as a talented music video director, this is actually only Akihiko’s side project. Since the mid-2000s, Akihiko has dedicated most of his time to his core practice of media art, conceptualising and producing work which plays with notions of time and space by blending the physical and digital worlds. 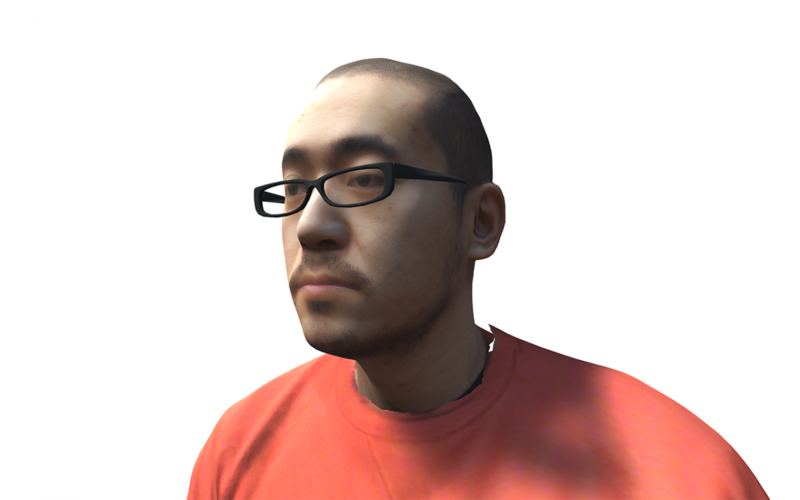 Born in 1983 in Saitama, just north of Tokyo, Akihiko actually began his artistic education by studying sculpture before he developed an appetite for more contemporary practices, eventually graduating from Tama Art University in Tokyo with both a BA and an MA in Art & Media from the Department of Information Design. Akihiko, who now lectures at his alma mater, has an intriguing personality that infuses both his artwork and his online presence. 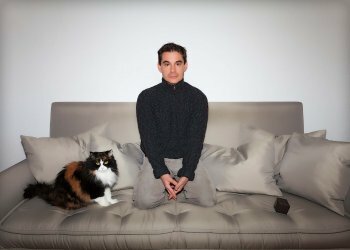 While his serious approach to his art is evident from the descriptions that populate his website, many of his pieces, and especially those in which he pulls apart his own image, reveal his sharp wit. Much of his artwork strikes a perfect balance between coherence and nonsense, and between entertainment and meaning, which never fails to intrigue and amaze. How does he come up with his ideas? In this interview, Akihiko shares the story of his transition from sculptural to media art, explores the creative process that has allowed him to develop his unique style, and explains the meaning behind some of the aesthetic elements he uses in his work. First of all, can you tell us about yourself? I’m Akihiko Taniguchi. As well as being an artist, I teach at Tama Art University in the Department of Information Design, for their Art & Media course. 1 As an artist, I make internet art, 2 sculptural or space design work using devices like iPhones and iPads. 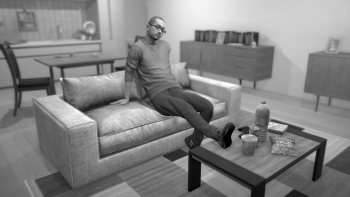 More recently, I’ve been inspired to express myself through 3D design and so I’ve been making art involving an avatar of myself that I made using a 3D scanner. I am often referred to as a media artist because not only did I study media art at university, but I also often make artwork using new types of media. What was your childhood like? Were you always interested in art? My mother was a primary school teacher but she always used to draw a lot and she actually used to want to be a painter, and so I guess I did come into contact with the arts when I was a kid. I read Bijutsu Techo magazine 5 every month from when I was in middle school, and my admiration for the arts gradually grew. I then ended up going to a high school specialised in teaching arts-related subjects. What was your relationship to technology when you were young? I was very late to catch the computer wave. It wasn’t actually until I went to university that I started to use them properly. Before then, I did have the opportunity to play around with them, although never very seriously. On the other hand, my sister was really into technology, even before the internet was a thing, and when she was at high school, she used to assemble her own computers. I remember she made one for me using some of her spare parts, and that’s how I went on the internet for the first time, when I was in middle school. I still vividly remember going on a website that was streaming live images of New York. It was so amazing to me that you could broadcast the streets of a faraway city like New York to the countryside of Saitama, all in real time. 6 Unlike on TV where everything is prepared and edited, nothing much happened on the live stream – it felt like looking out of a window. I read in a previous interview that you initially studied sculpture. Why did you choose that course of study? My high school was kind of a preparatory school and so I had a lot of drawing classes. They didn’t teach us much about contemporary art, it was all about drawing, painting, sculpture and handcrafting, which was meant to prepare us for art school entrance exams. Even back then, I had this vague objective to make contemporary art, so I did think of applying to more contemporary courses, but those actually tended to place more emphasis on the written exams than on practical skills like drawing. I didn’t really think I’d get in, because all I could do back then was draw. When I thought about which courses I was most likely to get into based on my skill set, I thought that the exams for sculpture courses would work to my advantage. That’s how I ended up getting into Tama Art University’s Sculpture course. 7 I thought I’d be able to do what I wanted once I’d got in, but it ended up being much more difficult. You ended up graduating from the Department of Information Design. How did you transfer from sculpture to information design? The Sculpture Department didn’t feel like the right match for me, not only because I wasn’t that interested in sculpture but I also felt like the course was quite conservative. I couldn’t really get into it and I ended up skipping most classes. From time to time, the department assistant would call me and tell me off about it. Even my friends were getting worried about whether I would pass the year. On the other hand we also had these department-wide lectures, and one of them, called Contemporary Art, was taught by Yukiko Shikata, 8 who was curator of the ICC, a media art gallery. 9 I took her lectures very seriously. She would give in-depth histories of contemporary art, at the same time relating it to media art. I really enjoyed her lectures, and so I often went to talk to her after, to show her what I had made. 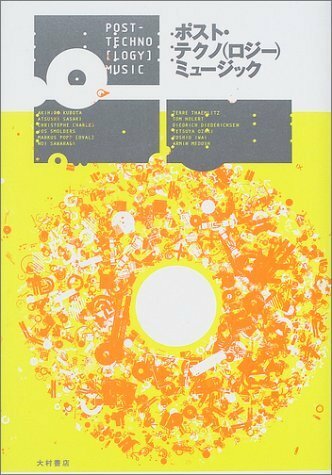 I’d been heavily influenced by Takehisa Kosugi, 10 a sound artist that Shikata-san had introduced us to. One of the pieces from his 2002 exhibition at the Museum of Modern Art was this very minimalistic object, which made tiny electronic sounds using a simple circuit. It looked like something a primary school student could make for their summer project, 11 at least from a technical point of view, and so when I saw that, I thought that I’d be able to make something similar. From then on I started making instruments, or rather sound-making gadgets, which I would show to Shikata-san after lectures. Then, one day, she told me that I should consider moving to another department instead of staying in Sculpture, and she introduced me to the Art & Media course in the Department of Information Design. It isn’t actually a design course but purely an art course – they focus on media and video art. Back then, there was this policy where no student could transfer between departments until the third year, so in my second year, I would just sneak into the Department of Information Design’s classes before I eventually transferred to Art & Media in my third year. Looking back, what do you think drew you to media art and why did you want to leave sculpture behind? I didn’t dislike sculpture at first. I even thought it was right for me, because I felt like I was better at working on three-dimensional objects than two-dimensional ones. However, I quickly realised that in our sculpture classes, we weren’t really verbalising the themes and concepts we were working with. They were only discussed in terms of intuition, a bit like how Shigeo Nagashima 12 famously expresses himself – without much rationale, very emotionally. I started thinking that I’d find it tough to keep on working in that kind of environment. I was curious, so I sneaked into a critique session on the Art & Media course and witnessed how other departments actually were speaking about themes and concepts in a very structured way – that was a huge factor for me. It’s super clear and for me, back then, that clarity was very refreshing. On the Art & Media course, you could discuss and debate concepts with work like UBERMORGEN.COM’s as a starting point, and that really appealed to me at the time. Having said that, nowadays I don’t particularly think it’s an issue to be intuitive and it’s okay to not be able to explain every single thing. Actually, when the concept or the process is excessively clear, it can sometimes even feel like something is missing. I made some of my work with a strong logical concept in mind, but many pieces just came from me being intuitive and reacting to my environment. I have a different point of view today but as a student, I just couldn’t relate to that type of work. Was the path from your university days to your current practice quite a natural transition? Your work often mixes reality with virtual worlds. How did you come up with this theme? A good friend of mine in the Department of Painting once told me that he wanted to make “paintings that predict things”. Shortly after, he painted a yellow sports car in the car park of an art gallery, and the painting was actually later exhibited in that same gallery. It functioned as a ‘prediction’ for the gallery’s visitors, surprising them because they had seen the exact same yellow sports car as the one in the painting when they entered the gallery through the car park. When I reflected on this later, I began to think that a static medium like painting wasn’t the most appropriate format for this kind of work. I thought that programming or video would be much better suited to creating an experience where the viewer feels like the work is predicting something. That’s how I ended up making jump from (2007) 23 in the second year of my postgraduate studies. However, when my friend talked about paintings that predict things, it gave the medium a romantic quality. Even though I did think that using technology to explore this idea would make it really blunt and dilute that romantic aspect, I felt like I had no choice in jump from. While what I’m really controlling in that artwork is temporality, that’s the point at which I started working on mixing reality and virtual worlds. How do you come up with your themes and ideas? For me, I think the key is to actually build something. Objects Thinking Too Much (2013) 24 is a series that I made using iPads, and one of the setups was that I had water flowing on an iPad to make it type. Looking back on it, I don’t think I would ever come up with this idea just by thinking about it. Instead, I just started by wondering “How could I make my iPad work without anyone touching it? How could I make it do something by itself?” and after a lot of trial and error, I ended up with water flowing onto an iPad. I initially thought I’d be able to make it work with conductible objects so I tried a lot of different materials like coins or nails, but nothing worked. Then I thought of water, and so I wrapped the iPad in cling film and poured water on it, and it started typing. That’s how I made one of the three parts in Objects Thinking Too Much. I often end up analysing my work after having made it, because what I make intuitively can end up much more meaningful than I originally realise while doing it. You mentioned that you tend to produce your work first and then analyse what it could mean after. Can you give an example of this methodology? Last year in April, I held Hyper・Here・Now (2017), a solo exhibition which looked back on my work from the past decade. 26 I quickly realised that many of my pieces involved screens, and so I used that as a foundation to structure the exhibition. Starting with jump from, which I mentioned earlier, I had the impression I had been trying to study how I could build a link between reality and what’s inside a screen – a frame where some kind of fiction is displayed. I only came to understand this by actually putting side by side all the pieces I had made over the past ten years. When I was making Placement (2008), iPhones and iPads weren’t yet widely adopted, so I didn’t fully understand then what moving a screen around could mean. Today though, everyone carries small screens like iPhones and iPads around with them – and, using them to access the internet, all kinds of information become available to you. You can basically view society through this thin pane of glass. Unlike TVs or cinema screens, it’s just a thin board that you have with you all the time, you hold it in your hands, you throw it on your bed. These boards make images that are only temporarily displayed look tangible, physical. Societal changes like these led me to use iPads and iPhones as a principal material for my artwork, like in Objects Thinking Too Much. My work is a mashup of many different meanings and functionalities, so I don’t think I’m actually fully aware of what I’m doing while producing it. I often end up analysing my work after having made it, because what I make intuitively can end up much more meaningful than I originally realise while doing it. The meaning behind a piece of work can also be dependent on what I made before or what I make after, so you could say that the meaning is always evolving – basically, the artwork always englobes multiple functionalities and meanings as well as different temporalities, past and future. Your artwork seems to be heavily influenced by your own daily life and surroundings. 27 Is this because, as you explained, you tend to work intuitively and do whatever comes to mind? I think that does come into play. I think it’s also due to my interest in working under constraints, or with finite resources. It’s a bit like when you need to cook something with the few ingredients left in your fridge. I’m very much into the DIY aspect of things. Performances and installations by artists like Ryoji Ikeda 28 or Carsten Nicolai, 29 who I studied at university, also influenced me considerably because their work almost never included images of people you could relate to. It was always so abstract, playing only with a universal image of ‘mankind’ or ‘body’. It is precisely this extreme aspect that made their work outstanding, but it led me to do the exact opposite in my work. While I have to admit that part of me was just being reactionary, I now purposely include in my work the objects that I use habitually, or places and people that are familiar to many. I think this also relates to the theme that I mentioned earlier – linking reality with what’s on a screen. 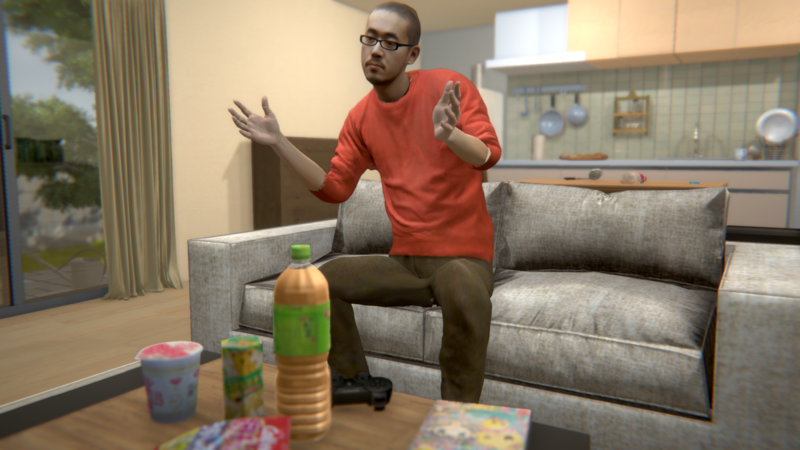 In parents' home 3D (2010), 30 you can see many familiar household goods, like a wasabi tube or Amazon boxes. By making reality mutually coexist with the world inside the artwork, I was wondering whether I could create a relationship between the two, inducing a synchronisation between the two through symbols. The fact that I appear myself in my more recent work, through my 3D avatars, might be an extension of this logic. As you just mentioned, your digital self sometimes appears in your work. 31 Would you be interested in extending your practice to performance art? I barely do any performances that use my body as the core medium, although at the moment, in my live performances, I often feature in two ways – both physically but also digitally through a display. I’m interested in the duality that I generate through this kind of setup so I’m currently not really into the idea of using my body as the principal medium. A good example of this duality is in Something Like Me / About Seeing Things (2016), 32 which I had the opportunity to exhibit in 2016 at the ICC. 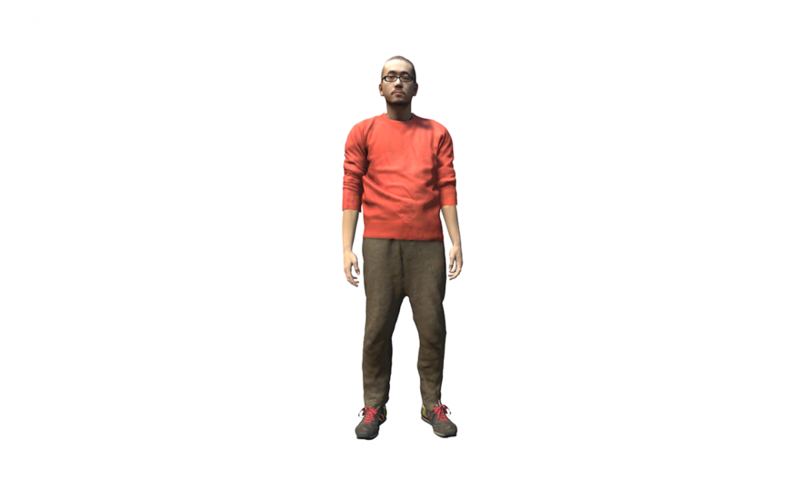 33 The work is a bit like a video game – so while the viewer was controlling my 3D avatar, I would be there, reading aloud from the text script that was displayed inside the game, wearing the exact same clothes as my 3D avatar. 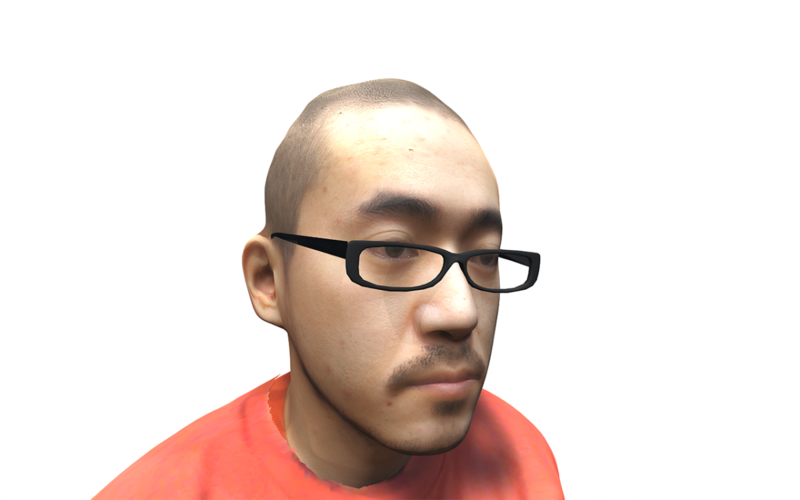 To build my digital avatar, I 3D-scanned myself. 34 As it’s just a form of data, not only is it duplicable but it’s also modifiable. That’s why, for some time now, I have been thinking I could let anyone download and use it. In that way, I would be open to the idea of doing performances through my data-state body. By making reality mutually coexist with the world inside the artwork, I was wondering whether I could create a relationship between the two, inducing a synchronisation between the two through symbols. Many artists choose to tackle socio-political issues through their work. Is this something that you’d do? I’ve been thinking that this is something I need to work on. Recently, I was shortlisted for a contemporary art award called the Asian Art Award. 35 The context there was slightly different to the kind of environment I’ve been immersed in so far, and it did make me reflect on how I could use my art to engage more in today’s society. On top of that, I’ve recently had more opportunities to show my work abroad and I’ve been feeling a huge difference in attitude between the Japanese media art scene and equivalent groups overseas. I can sense that artists from abroad often use their work to critique some aspects of society or technology, while Japanese media artists don’t tend to touch on these themes. I come into the latter category, and that’s why I’ve been reflecting on whether I should be tackling these issues. The Tama Art University, often abbreviated to Tamabi, is a private art and design university located in West Tokyo. Considered one of the top art schools in Japan, notable graduates include fashion designer Issey Miyake, graphic designer Takushi Mizuno and manga artist Kotobuki Shiriagari. Along with the Art & Media course, the Department of Information Design also offers an Interaction Design Course. 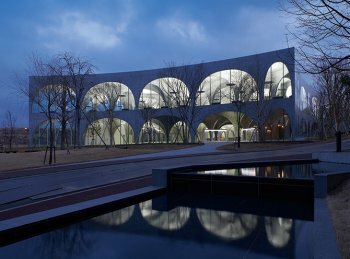 The university library on the Hachioji campus was designed by the internationally renowned architect Toyo Ito. While clubs and societies are common at European universities, in Japan they have a unique function in educational life from primary school up until university. Japanese school societies are generally categorised as either sports clubs or cultural societies, which can encompass any activity from music to photography, volunteering, cooking, calligraphy or theatre. Fun fact: as it’s optional to join a society, kids who aren’t in any are said to be part of the kitaku-bu which means the ‘going home society’. To find out more about Japanese school societies, watch this video produced by Mejiro Kenshin High School in Tokyo to show all of its clubs and societies. Bijutsu Techo, often colloquially called BT, is a Japanese monthly magazine founded in 1948, which covers the world of contemporary art. See below for the cover of its May 2017 special issue on musician Ryuichi Sakamoto. 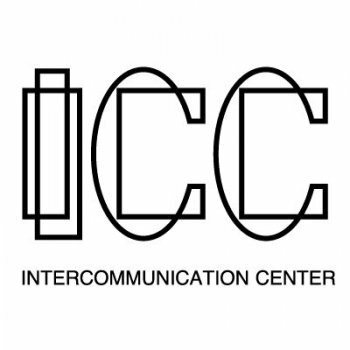 The ICC, also called the NTT InterCommunication Center, is a cultural institution and art gallery located in Tokyo, which specialises in media art. It was founded in 1997 by NTT, a Japanese telecommunications company, to celebrate the 100th anniversary of telephony in Japan. 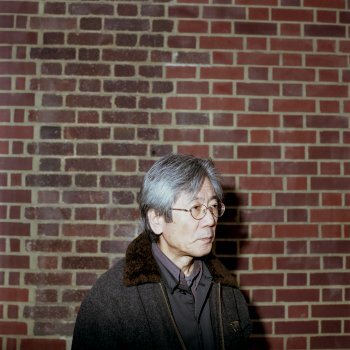 Born in 1938, Takehisa Kosugi is a Japanese composer and performer from Tokyo who was part of Fluxus, an international artistic movement which emerged in the 1960s. 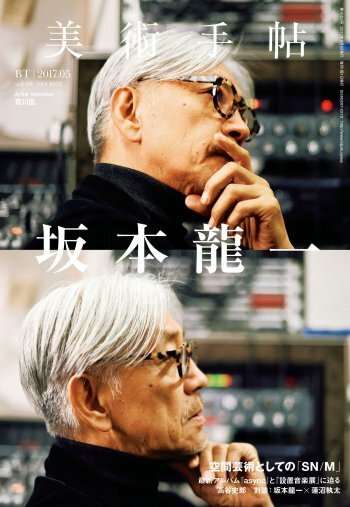 Kosugi, who graduated from the Tokyo University of the Arts with a degree in musicology in 1962, is best known for his experimental music and electronic sound performances using ordinary materials and technology. In Op Music (2001), he converts light to sound and sound to light – you can see him performing the piece below, at the Edinburgh International Festival in August 2013. Photo credit to Thomas Butler. In Japan, the academic year starts in early April and ends in late March. 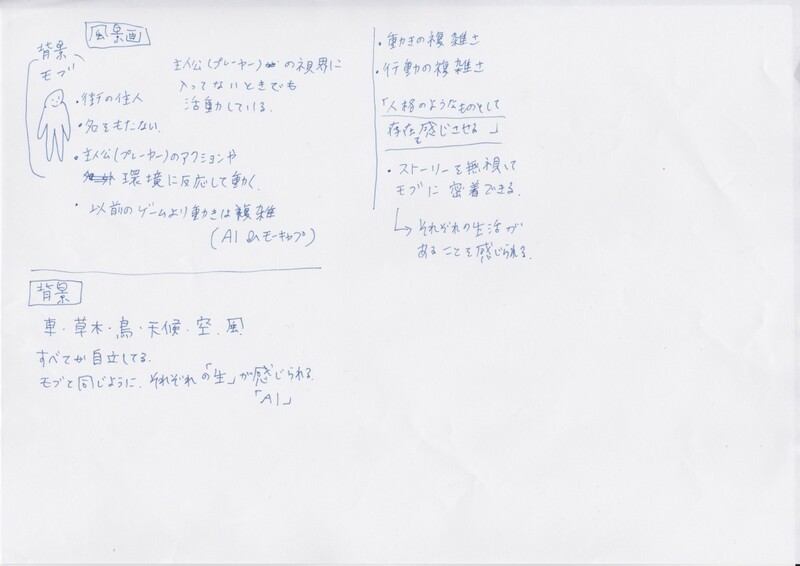 It’s therefore very common for kids in Japan to have homework during their summer holidays, from mid-July to mid-August. The homework can be anything from simple paper exercises or a book report to more unusual tasks such as collecting insects, making a handcrafted object of some kind, or independent study on a topic chosen by the student. 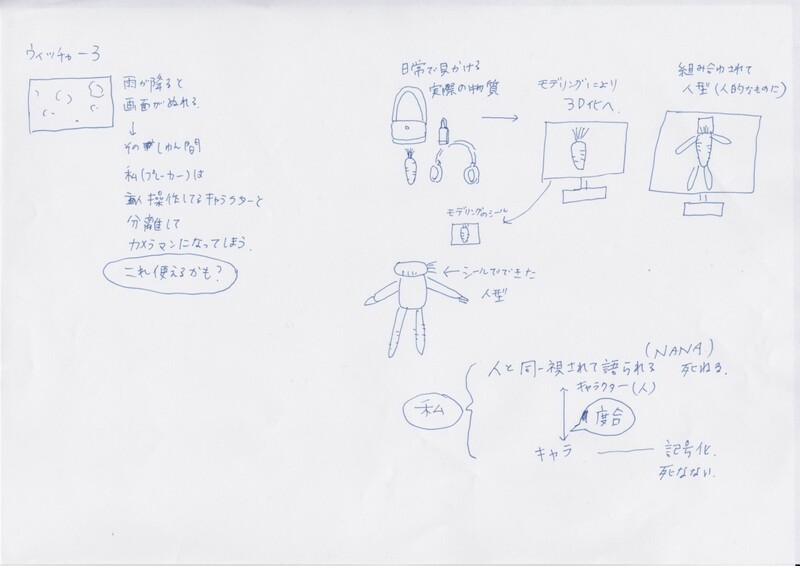 Here, Akihiko is here referring to a type of electronics project that a kid could make during the summer break – on YouTube, we found a boy showing off a mini piano which he made for his summer homework. Shigeo Nagashima, born in 1936, is a former baseball player and manager. 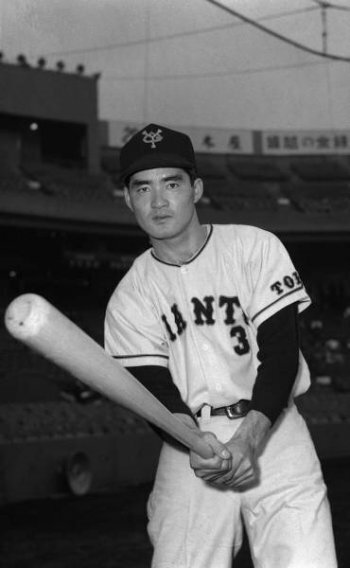 He is famous for his long-standing association with the Yomiuri Giants, a team based in Tokyo, which he played for from 1958 to 1974 and managed twice, from 1975 to 1980 and from 1993 to 2001. During his career, he won the Japan Series fourteen times – eleven times as a player and three times as a manager. In 2013, Prime Minister Shinzo Abe awarded him the People's Honour Award. Akihiko mentions him here because Shigeo Nagashima is very famous for his unique, spontaneous way of expressing himself, often employing onomatopoeia. See below for a YouTube montage of Nagashima’s unique expressions – be warned that it’s in Japanese! UBERMORGEN.COM was formed in 1995 by lizvlx and Hans Bernhard. Their work often consists of digital and internet art, and they are known for critiquing existing forms of socio-political power through their work. EKMRZ Trlgy brings together three of their works examining massive online conglomerates, including GWEI – Google Will Eat Itself which Akihiko explains here, Amazon Noir – The Big Book Crime and The Sound of eBay. While these works target economic entities, Vote Auction (2000) satirises political systems. This work consisted of a website, launched during the 2000 U.S. presidential election, which let people anonymously sell their vote to the highest bidder. The website became so popular that many media outlets reported on it, including CNN, who made a special report that you can watch below. UBERMORGEN.COM describes the work as “bringing democracy and capitalism closer together”. They launched a similar initiative, WAHLGELD.COM, in 2007 for the Swiss parliamentary elections. 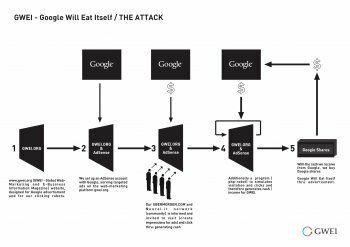 See below for a diagram made by UBERMORGEN.COM, summarising the mechanism of GWEI – Google Will Eat Itself. Although he has been a faculty member at the Tama Art University in the Department of Information Design’s Art & Media course since 1998, Akihiro Kubota’s background is in engineering. He graduated from the University of Tokyo with a Doctorate in Marine Engineering, and went on to teach there as an assistant professor. He leads ARTSAT, a collaborative project between the Tama Art University and the University of Tokyo, which in 2014 successfully launched two satellites solely for artistic purposes, making Akihiro a pioneering figure in satellite art. In 2016, he received the 66th Minister of Education Award for Fine Arts (Media Arts Division) for the project. 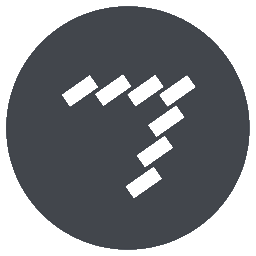 See below for a video on DISPATCH, the second satellite launched by ARTSAT. Seiko Mikami (1961 - 2015) was a Japanese media artist. She studied computer science at the New York Institute of Technology, graduating in 1995. Her artwork examined the relationship between human bodies and our information society, often consisting of large-scale interactive art installations. In 2012, she was awarded the Excellence Prize at the Japan Media Arts Festival for Desire of Codes (2012), an artwork in which she blurred the lines between the tangible body and the body as data. She passed away in 2015. 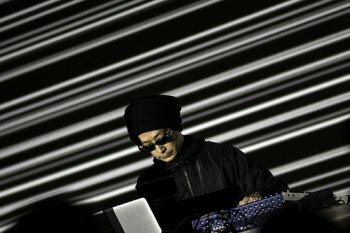 Ryoji Ikeda is an electronic music composer and sound artist from Japan, based in Paris. Ikeda is widely known for blending sound and visuals with mathematical concepts in his large-scale performances. You can watch test pattern below, which he performed in New York’s Times Square in 2014. 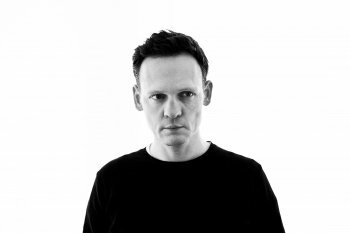 Carsten Nicolai, also known as Alva Noto, is a composer and sound artist. Born in 1965 in East Germany, he studied architecture and landscape design before devoting himself to music and, in 1999, co-founding a record label called Raster-Noton. Similarly to Ryoji Ikeda, with whom he has collaborated under the name of Cyclo, Nicolai plays with the physical assets of sound, such as its waves, to create audiovisual performances. He has also worked with the world-renowned Japanese musician Ryuichi Sakamoto several times since 2002. See below for a mini-documentary on Carsten Nicolai and his practice. Oval is an electronic music group which was founded in 1991 by Markus Popp, Sebastian Oschatz and Frank Metzger, from Germany. While the latter two left the group in 1995, Markus Popp still continues to release songs under the group name. Oval is recognised as a leading figure in glitch music, which is made by, for example, deliberately damaging CDs to come up with unusual sounds. See below for footage of Markus Popp in April 2000, defining his music, his process and his tools. The book, which was published in December 2001, examines the impact of technological advancements on the world of music as well as its socio-political consequences. Max is a programming language that is commonly used for developing interactive music performance software. 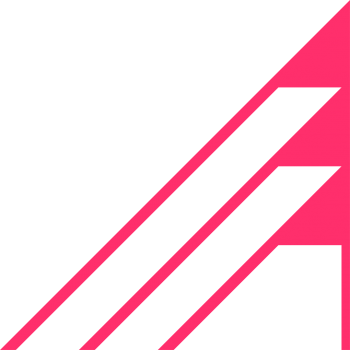 After twenty years of development and maintenance by the San Francisco-based company Cycling ’74, it was acquired by Ableton in 2017. Akihiko’s Hyper DJ 3D (2018) illustrates this approach well – he created a DJ setup in a virtual 3D world, as you can see in the video below. jump from is an interactive installation based on the video game Super Mario Bros. While the player makes jumps within the game, the screen flashes up a short video of a different player doing the same jump at the exact same place in the game. 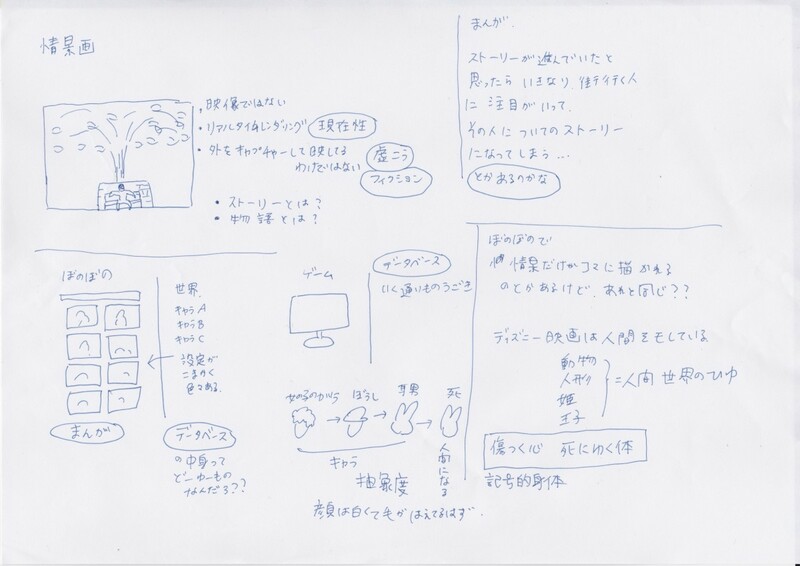 Akihiko explains that by recording himself making Mario jump at multiple locations, he was able to connect the decision of the player to data coming from the past, making it feel like a ‘prediction’ from the player’s point of view. 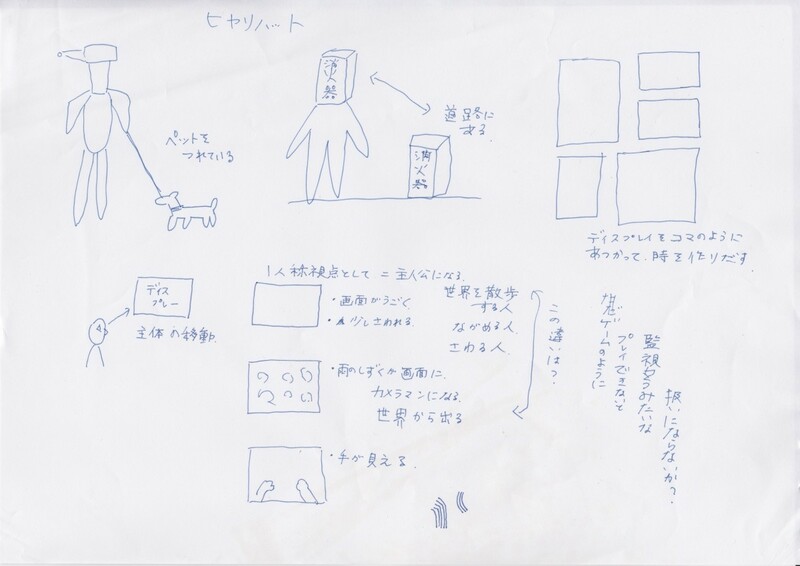 As well as the piece that Akihiko is describing here, his Objects Thinking Too Much series includes two additional works, which you can see in the video below. With this series, Akihiko aims to play with the viewer’s perception by obscuring the interactions between the iPads and the other objects. See below for an overview of Hyper・Here・Now, which took place in Tokyo at the Calm & Punk Gallery in April 2017. One piece of Akihiko’s which seems to illustrate this pattern of blending art with his everyday life is skincare (2015). 3D objects are made of two types of data – a mesh model and a texture. The mesh model defines the shape of the 3D object and is complemented by a texture which establishes how the shape looks. In skincare, Akihiko experiments with these two data points. parents' home 3D is an audiovisual performance. Akihiko explains that for every household object that features, a sound file is attached, and these are then assembled within an imaginary home. 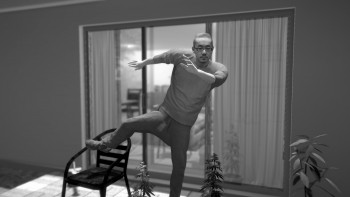 The Big Browser 3D (2016), which Akihiko exhibited at the Seoul Mediacity Biennale, is a good example. 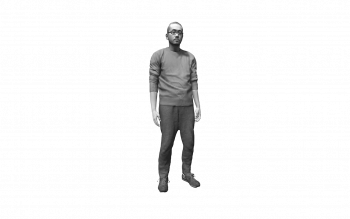 It’s an interactive piece that lets the user browse the internet by controlling an avatar of Akihiko. Watch Something Like Me / About Seeing Things (2016) below, as performed by Akihiko in March 2016. English subtitles are available. The Asian Art Awards were founded in 2017 to celebrate the best contemporary art from not only Japan but Asia as a whole. Each year two prizes are awarded – the Grand Prize and the Special Award. 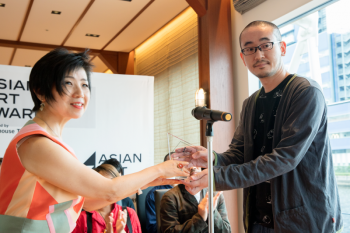 While the winner of the Special Award is given studio space for up to a year, the Grand Prize winner is awarded ¥1,000,000 (roughly equivalent to £6,800), as well as studio space and an exhibition in Tokyo and Singapore. Akihiko won the Special Award in 2017. 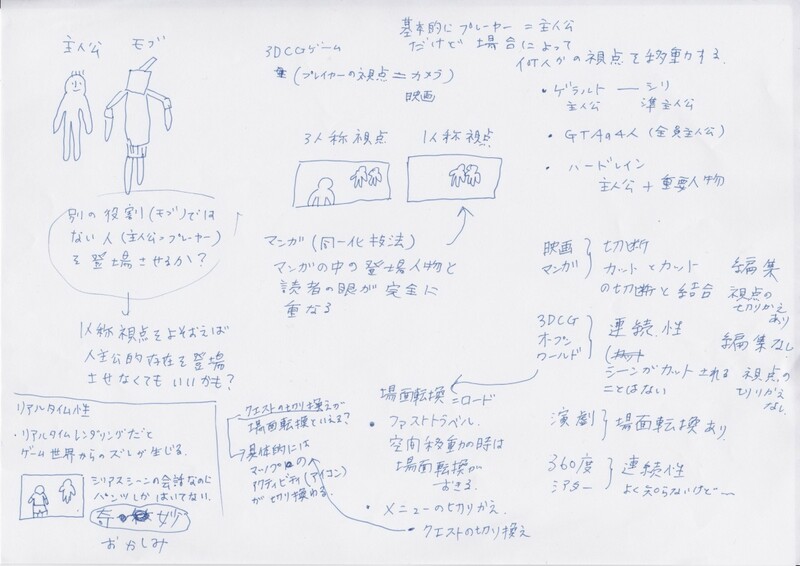 This interview was posted on 17 June 2018 and was originally conducted in Japanese. Akihiko kindly took the time to answer our questions at his house.